Price: Adults from £19, Children from £13. Re-living the horror of mediaeval Britain, The London Dungeons are a ghoulish and ghastly way to spend a Halloween. Touring the labyrinthine borrows, you’ll discover London’s bloody history through encounters with live actors, adrenaline pumping rides and spectacular special affects. Price: Adult £9, Students £7, Children (under 15) free. 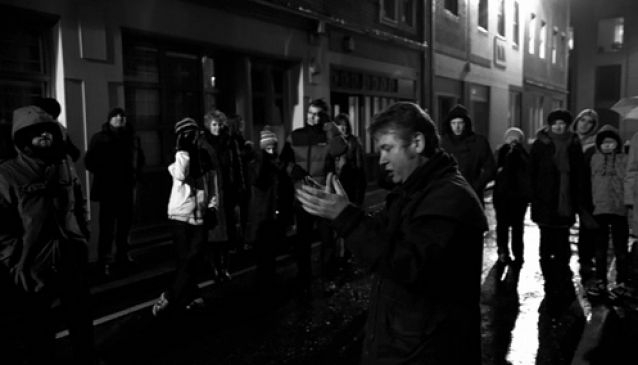 An alternative way to see the city, London Ghost Walks offers a ghoul-tastic tour of tales and torture. With a different route each night, experts in the undead guide you through the most haunted parts of London. Masters of the macabre, the guides provide a detailed and accurate account of London’s paranormal and bloody history. Hunting down the paranormal, a ghostly encounter is guaranteed. For those who are still skeptical, details of the all-consuming plague will surely banish the brave. Also on the menu are gruesome tales of London’s cannibalism and repulsive deaths, torture and turmoil. 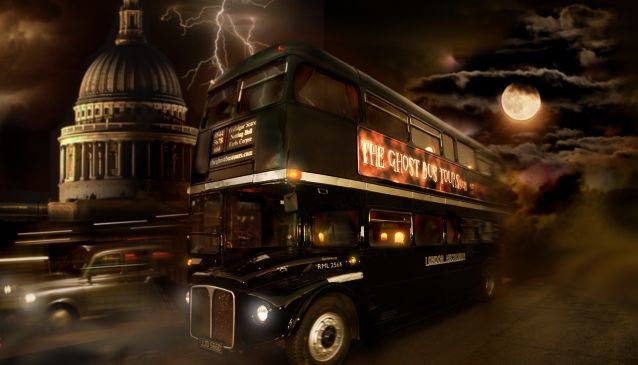 Climb aboard the double-decker with a difference, the Ghost Bus Tour, for a ghastly ride around the sinister side of the Capital. The Routemaster has been decked out with a dreadfully gothic design as London’s first ‘Fright Bus’ service. 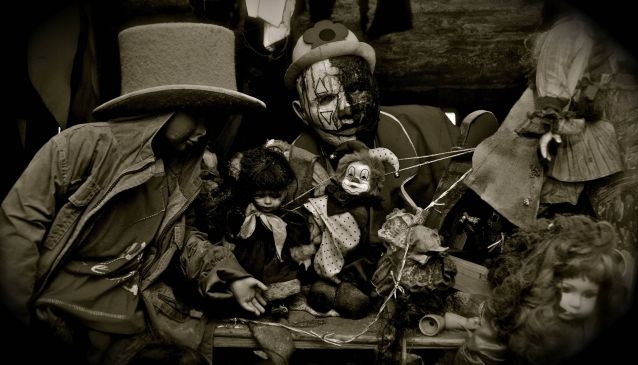 Exploring the city’s haunted hideaways, the tour is packed with shocks and screams stirred by the costume-clad actors and on board trickery. The daily tours start at 19:30 or 21:00 from outside the Grand Hotel Northumberland Avenue (nr Trafalgar Square). Price: £22 on weekdays, £28 on weekends. Dates: 27 October – 4 November 2012. Thrill seekers will love London’s newest roof top attraction, Climb of the Cursed, by Up at The O2. 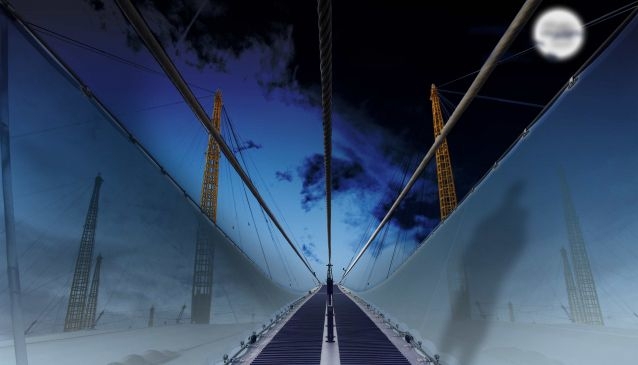 Day and night climbers will reach dizzy heights by walking the height of the O2 arena and along a fabric walkway suspended 52 meters above ground level. Starting at the eerily themed Base Camp, visitors don cosy climbing suits to protect against the chilly night air. A spooky ascent, the walkway is dotted with Halloween surprises, tricks and treats, including the suit’s secret pockets. Once reaching the top, visitors can enjoy a spectacular view of the city from the 360-degree viewing platform. Guests will receive a map of London to locate some the Capital’s horrifying hotspots and a ‘You’ve Survived’ personalised certificate. N.B Climbers must be older than 10 years old and over 1.2m tall and physically and medically fit for the climb. Named the UK’s best scare attraction, The Crypts is a walking nightmare. The on-foot tour takes you through two of London’s best-known attractions: London Bridge and the London Tombs. The haunted tunnels and catacombs will terrify anyone who ventures through them as zombies and ghouls leap from the shadows to taunt and torment you. The Halloween special, Phobophobia, dares you to face your fears. Enlisting a horrifying collection of phobias, the tour meets creepy clowns in the Circus of Fear, demented doctors and dreaded dentists whilst Gordon Ramsey’s evil alter ego (if that’s even possible!) cooks up a cannibalistic feast in the new Hell’s Kitchen. 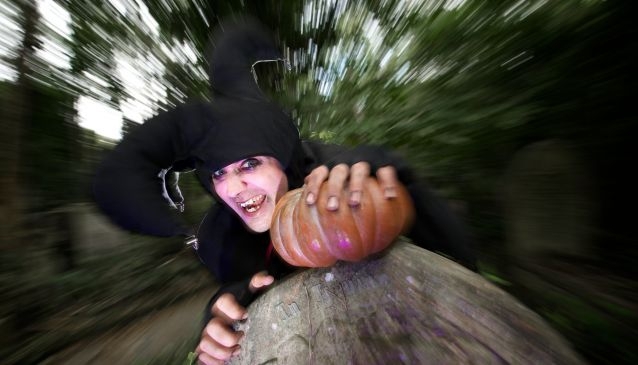 For those who aren’t so brave, daytime Jack the Ripper and Pumpkin man or The Guardian Angel Show tours are family friendly, with pumpkin carving and face painting.